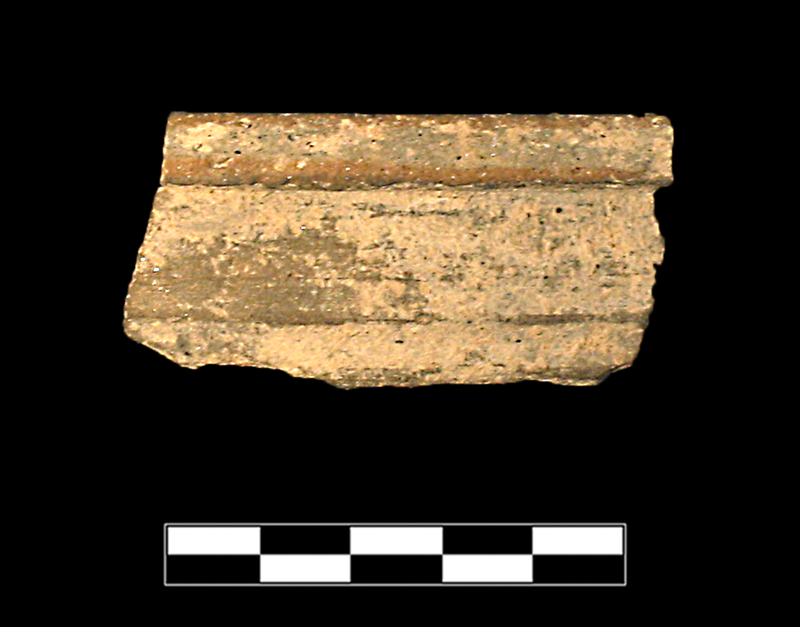 Sherd preserving less than 1/12 of rim; everted, flat on top; outer edge broken off. Granular fabric has grey core and is brown towards the surface; occasional light and dark small angular inclusions with other tiny bits. One large clear [quartz] inclusion and several other smaller clear bits embedded in surface. All surfaces are grey with frequent mica. 0.21 interior rim diameter.